In a previous update (see our earlier post "What We Know So Far") , YS Net indicated that they would be arranging some sessions in the general-admission area to give fans the chance to meet Yu Suzuki at the event. * It is noted that the times may vary slightly from those given, depending on Yu's schedule. 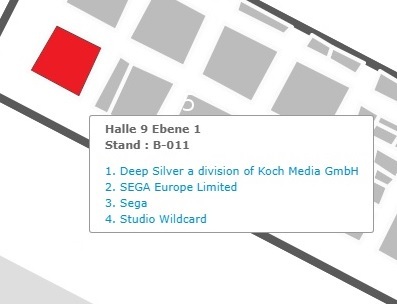 A search of the exhibitor map on the Gamescom website gives some revealing information about the booth location, B011/C010, which will be shared by a few game companies. The main exhibitor at this booth is Deep Silver - this makes sense, given its newly-formed relationship with YS Net (the next post will cover this in more detail). 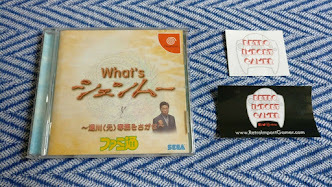 However I was caught by surprise to discover that the booth will also be shared with a certain company - technically, companies - with very close ties to the Shenmue franchise: Sega and Sega Europe. The companies at booth B-011/C010. Sega Europe has recently been on record to confirm that they are "actively pursuing" HD remasters of the first Shenmue games. Could their presence in the same booth indicate we may be in for a more concrete announcement relating to these at the event? We will know for sure next week. 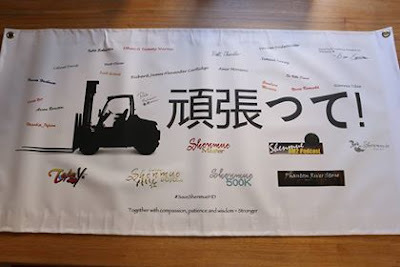 The motivational banner, ready for being transported to Gamescom 2017. The banner will be available for signing from the Wednesday. 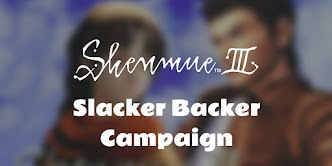 This thread on the Shenmue 500K site has the current information. Hopefully it may make an appearance in the background of one of the future Kickstarter Update video reports! Shenmue III at Gamescom: Exclusive Blog Reports To Come! 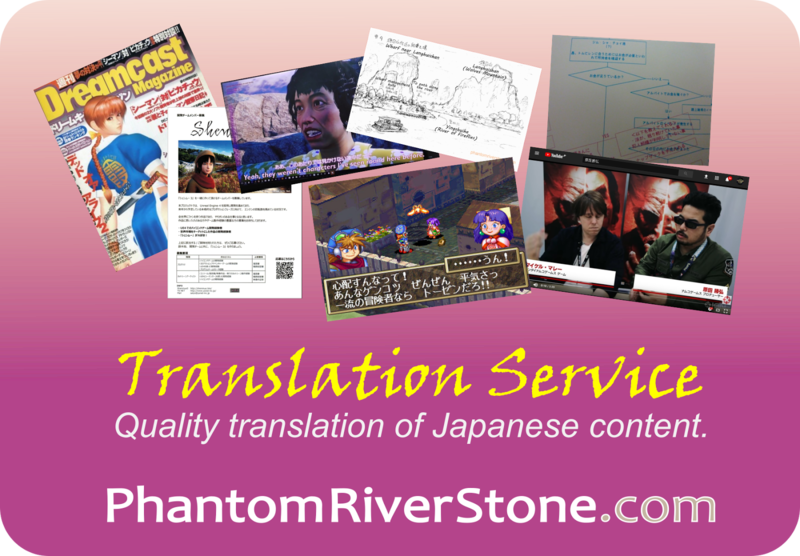 We also have some exciting news for this blog. 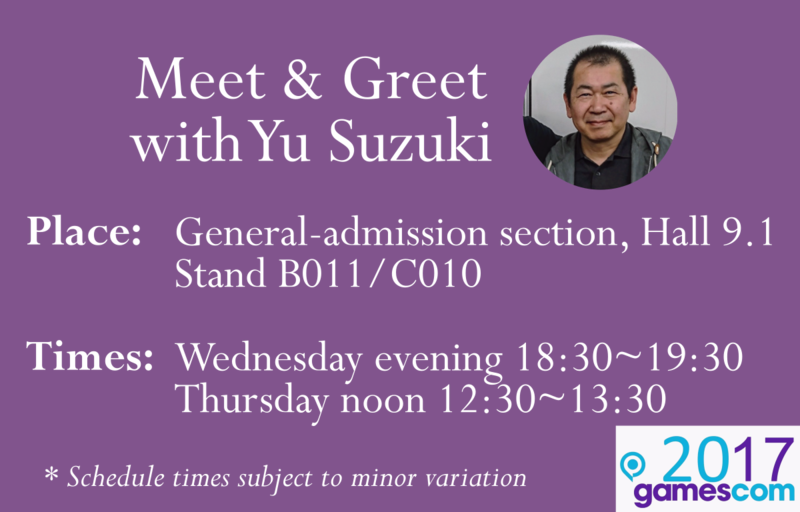 We have lined up some special guest features on Shenmue III at Gamescom, including an opinion piece on the content of any Shenmue announcements as well as reports & photos from actual attendees. Keep an eye on the blog, as you won't want to miss them! And as always, all our blog updates are also posted to Facebook and Twitter.